An updated version of Rapid Volt Girl from GalwayGameJam #5 with many (if not all) bugs fixed. You can't remember much. There was an experiment, it went wrong and it warped the world beyond recognition. 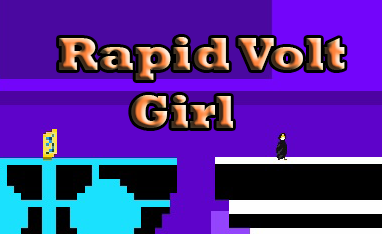 The experiment also changed you, you're faster, electrical, a Rapid Voltage Girl. You have no other choice than to try to use your newfound skills to try to reverse the experiment.